I mean it! 10 minutes. 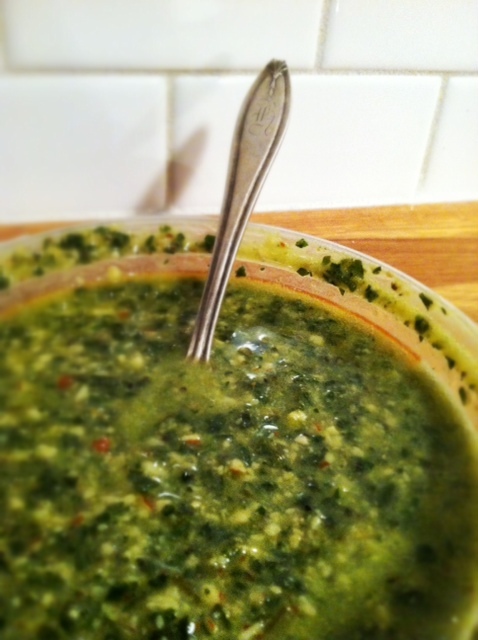 This simple recipe is really pretty to look at and tastes great! 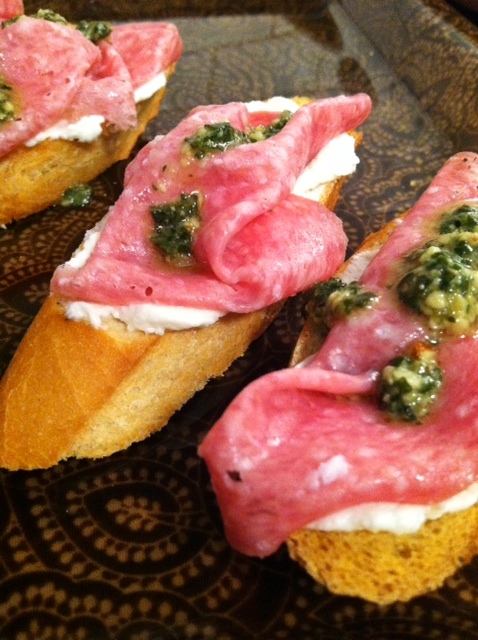 The bread is crunchy, the cheese is creamy, the salami-salty and the pesto adds a bright burst of flavor! Did I mention it takes 10 minutes? 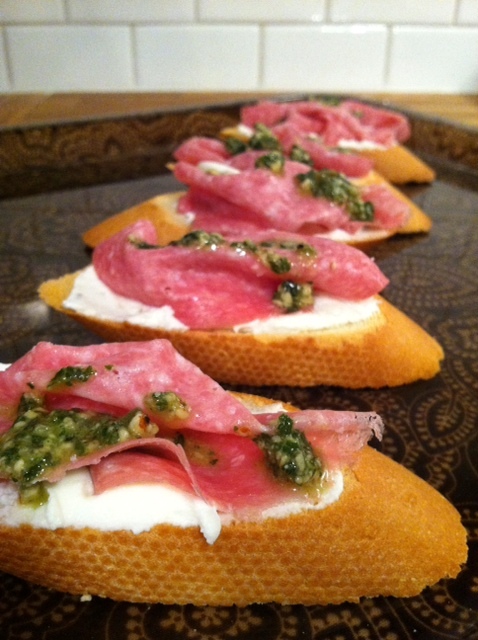 Top with salami and drizzle with pesto. 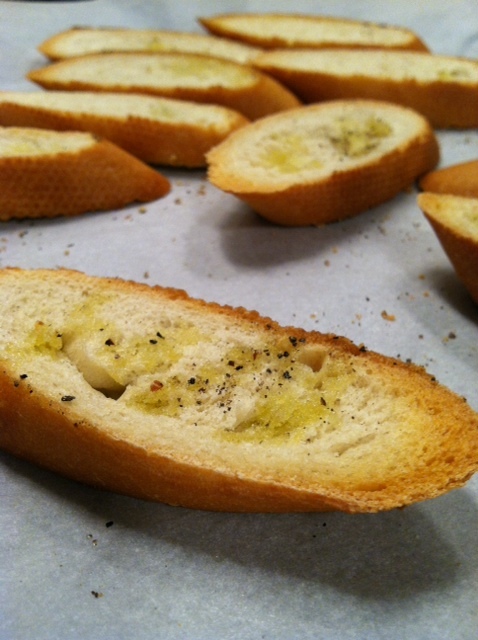 lay baguette slices on a parchment lined cookie sheet. drizzle each side with olive oil and lightly sprinkle with salt and pepper. bake for 5 minutes or until bread is crisp. remove from oven and cool 1 minute. 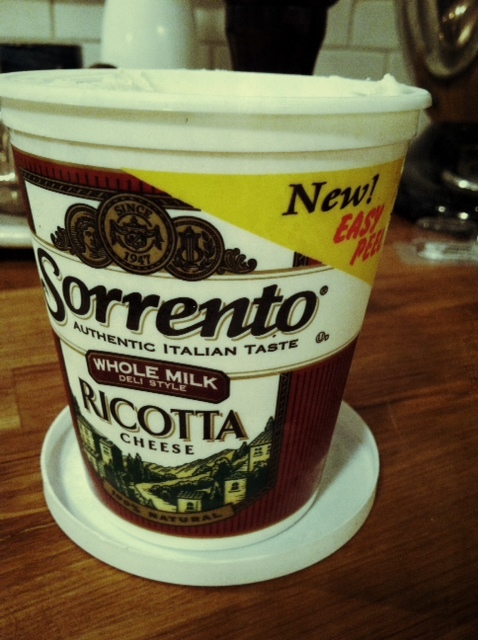 spread desired amount (i used about 2 tablespoons) of ricotta cheese on each slice of bread. fold one piece of salami on each and drizzle with salami.